A fundraising appeal has been launched after thieves raided a charity shop and made off with £2,000 worth of goods. The British Heart Foundation shop on Salter Row, Pontefract, was ransacked by intruders who stole CCTV equipment after smashing a window. Staff at the shop are inviting people to help with a fundraiser to cover the costs of the burglary. A cross trainer and rowing machine will be used in a sponsored fundraiser which will see people invited to donate a bag of goods to be sold at the shop for every mile covered. Clothes, shoes and handbags are among items needed. Shelley Fox, manager of the shop, said: “We need 200 bags of stock to make up for the £2,000 that went missing. People are invited to volunteer to take part in the event from 11am on Saturday, June 18. Any one who can help can contact the shop on 01977 600522. Miss Fox arrived at work and discovered the aftermath of the break-in on Tuesday, May 24. She said: “They’d turned the office upside down and there was paper work everywhere and they did the same in the kitchen. 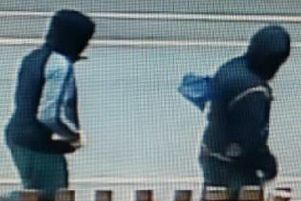 Police said the burglary happened between 5.15pm on Monday May 23, and 6.45am the following morning. Witnesses are asked to call them on 101. A police spokeswoman said: “Police have investigated the burglary at a charity shop in Pontefract on Monday 23 May, but unfortunately there are no further lines of enquiry at the current time.